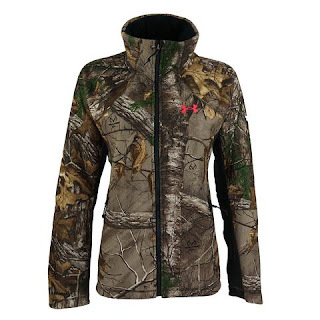 Head over to get this Under Armour Women's UA Mid Season Jacket for ONLY $46 Shipped (Retail $149.99) with promo code PZY46 at checkout. Made with UA's exclusive Scent Control technology, this sportswear keeps you undetectable to wildlife. Built to repel water and wind, this fleece jacket boasts two layers- an exterior to keep you dry and an interior to keep you warm.